The following map provides some bus stops at Kuala Lumpur. User can zoom in and click on the placemarkers to know more about the bus stops. Routes of Rapid KL can be referred here. Some of the bus stops location are not available. Feel free to comment if you think that you can contribute as most of the stops need to be added. As too much stops in Kuala Lumpur, they are separated by a few different maps. uitm puncak alam to berjaya times square? ?may i get clue?? ?huhuhu anyones?? dari puchong nk kea bukit jalil nk naik bas no brape?? You can use RapidKL U60, U69 and U70 and stop at bus stop after Pearl Point, then go opposite for RapidKL U71 to Bukit Jalil. dari ktm dato' harun nak ke gdex petaling jaya mcmne? dari komuter serdang nak ke pasar malam sri serdang naik bas no brapa ye? Ok.Tenkiu..Kat stesen mana saya nak berhenti turun ye? It is hard to describe, you may ask the bus driver before boarding the bus. how to get to seksyen 5 wangsa maju from jalan segar perdana ? 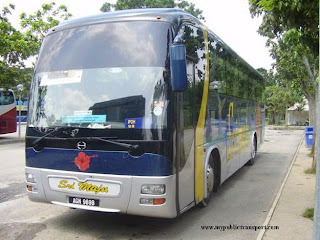 How to get bus from Kajang Prima to Seremban?? Hello, how do i get to Assunta Hospital from Taman Jaya or any nearby LRT station ? thank you. You can just walk directly from Taman Jaya LRT station to Assunta Hospital. It just less than 1km away. dari vista prima bandar puteri nak ke bandar tasik selatan macam mane ye?? You need to walk to Jalan Puchong to use RapidKL U69 to KL Sentral, then use KTM or KLIA Transit to Bandar Tasik Selatan. any bus from kota damansara to wisma chase perdana? Great kuala lumpur bus stop information for the people who love to read. Surely it will interest many to read. HI, would like to ask is there any bus from mid valley to bangsar village and also bangsar village to mid valley by bus without the bus route going to kl? You can use RapidKL U87 directly. 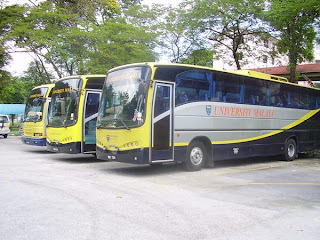 Hi,may i know that is there any bus to pear international hotel from ktm petaling station?I am from klang and I search through web it state that I need to stop at ktm petaling station and walk to pearl inter hotel.or is it safe to walk to pearl inter hotel from ktm petaling station? No, you can't walk from KTM station to the hotel, they are too far away from each other. What you can do is use KTM to Mid Valley station, then cross opposite for RapidKL U60, U69 or U70 to Pearl International Hotel. hi.. boleh tahu ada tak bas dari ktm seri setia ke ss5 kelana jaya?? 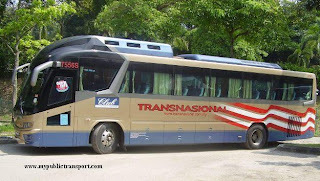 may i know is there any bus from ktm taman dato harun to taman paramount? thanks alot! You need to use KTM to Midvalley, then change RapidKL U85 or Metrobus 99 to Taman Paramount. What is the most convenient way to go to Jalan Duta (New Istana Negara) from KL Sentral except taxis? You can use RapidKL U618 from Tititwangsa LRT station or U83 from KL Sentral to Jalan Duta. Hi, I can't seem to make the connection from the map. Would like to get from Section 17 PJ to Pearl Point hotel. Anyone can help? Thanks! You can use RapidKL U85 or Metrobus 12 from Jalan Universiti to Mid Valley, then go opposite Federal Highway for RapidKL U60, U69 or U70 to Pearl Point. how to go MIECC from Pudu Raya??? You can use RapidKL U41 from opposite of Pudu Raya to the Mines. You can walk to Pasar Seni LRT station and use RapidKL U60, U69 or U70 to Pearl Point. macam mana saya nk ke pulapol dari stesyen lrt dato keramat?? 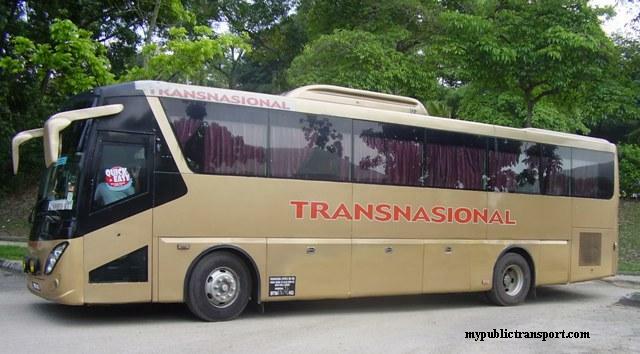 bus no brape yg sya kena naik?? You can use RapidKL U23 to Jalan Semarak, then walk to Pulapol. Mcm mne saya nk ke putrajaya dari pekeliling? 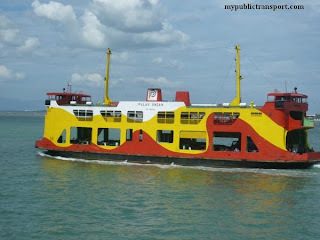 Ade bus x? 1. Monorail to KL Sentral, then KLIA Transit to Putrajaya. 2. LRT to Tasik Selatan, then KLIA Transit to Putrajaya. 3. LRT to Sungai Besi, then RapidKL U42 to Putrajaya. 4. LRT to Masjid Jamek, then walk to Pasar Seni for RapidKL or Sri Indah Express bus to Putrajaya. Hi. How to reach wisma chase perdana from amcorp mall by bus ? Is it possible ? Cuz i heard bus dont go there... Thanks! You need to use LRT from Taman Jaya to KL Sentral, then use rapidKL U82 to Jalan Semantan. Then you need to find way to go in to Chase Perdana. Maybe you need a taxi. macam nak pergi dari stesen bas bentong ke putrajaya?? terima kasih..
From Bentong you need to use bus to Raub, then from Raub to Kuala Lumpur. Once you reach KL, you can use LRT from Titiwangsa Station to Tasik Selatan. Then use KLIA Transit to Putrajaya Sentral. Last use Nadi Putra bus to Putrajaya. How to go Cheras Business Centre from Maluri Ampang line Train Station? 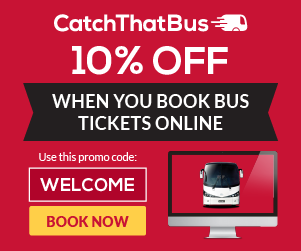 Any bus station nearby Cheras Business Centre? Hi you can use RapidKL U47 from Jalan Cheras to Cheras Business Centre. how to go to jalan langgak,bukit tunku from kl sentral..tq..
Hi, if am from Putrajaya Sentral, how to get to Pekeliling bus station to get to K. Lipis? You can use KLIA Transit to KL Sentral, then use Monorail to Titiwangsa Station. Pekeliling is beside the monorail station. How to go from bandar puteri to ksl sport centre @ puchong utama? Hi, dari puchong ke bandar baru bangi boleh ke?? You will need 3-4 hours if you use bus for this. 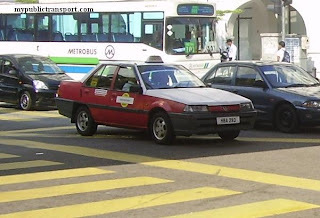 I suggest you to use Taxi directly. You can use KLIA Transit to Tasik Selatan, then use LRT from Tasik Selatan to Maluri. You can use Monorail from KL Central to Titiwangsa Station. Excuse me, may i know is there any public transportation near Prince Court Medical Center at Jalan Kia Peng? Yes. You can use RapidKL B114 from Titiwangsa and stop near Jalan Tun Razak. Hi, I want to ask how can I go from Kelana square to lrt Kelana Jaya using public transport? i try to search rapid routes. It seems that I must walk from kelana square to kjmc ldp before taking a bus to lrt kelana jaya. is there any options? And if there's no option, does it have sidewalk/pedestrians? And how long will it take for walks? No need to go LDP, you can just wait at Jalan SS7/26 for RapidkL T624, it will bring you back to LRT Kelana Jaya. I am a college student looking for public library to study. Anyone knows how to go perpustakaan negara from vista prima, bandar bukit puchong (jalan puchong)? Besides, any public library that is easy to reach by public transport?? You can use RapidKL U69 to KL Sentral, then use Monorail to Titiwangsa. From Titiwangsa station, use RapidKL B114 to National Library. You can refer to the following list of library. Hi, I would like to ask if there is any bus from Sunway Pyramid to Sungai Buloh? And also which bus to ride from Kepong Sentral KTM station to Sungai Buloh? Hi, you can use RapidKL U63,U67, U76 to KL Sentral, then use KTM to SUngai Buloh. From Kepong Sentral, you can only use KTM to Sungai Buloh. 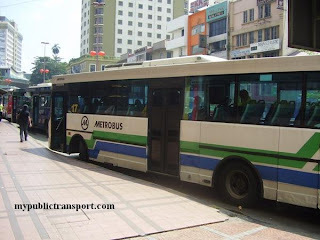 how to go to the metropolitan square using ktm and buses. what bus should i take? -from bangi -to metropolitan square,damansara perdana. From Bangi you can use KTM to KL Sentral, then from KL Sentral use RapidKL U82 or U88 to 1Utama. Last, from 1tama use RapidkL U86 to Metropolitan Square. Hi, I would like to ask how can I go to taman sri rampai from Japan ipoh batu 4? Hi, I think you mean Jalan Ipoh Batu 4, you can take RapidKL U3, U4, U8,U11, U13, U209, U222 to Masjid Jamek, then take LRT to Sri Rampai station, Taman Sri Rampai is just nearby. nak naik bus apa dari vista prima bandar bukit puchong ni ke kl sentral ? atau naik bus apa nak terus ke masjid jamek? Hi, you can take Metrobus 58 or RapidKL U60(Need to take T513 to Puchong Utama) to Kota Raya and walk to Masjid Jamek. Hi, you can take T523 from Subang Jaya KTM station to 3K and walk to Monash. Hi, which bus i need to take from ktm subang jaya to skynet ss13? Good day, I live in Koi Tropika Puchog, which bus do i need to go to Linconl University college, Taman Mayang Jaya,Petaling Jaya? And also which bus do i need to come back home to Koi Tropika Puchong? Hi, you can take RapidKL U69 to KL Sentral, then take LRT to Kelana Jaya. Lincoln University College is located opposite to the LRT station across the highway. Hi :) so sorry to bother u. How can i go to alamanda putrajaya from kl sentral? Or from masjid jamek. any of these two. Hi, you can take KLIA Transit from KL Sentral to Putrajaya Central, then take Nadi Putra bus to Alamanda Putrajaya. 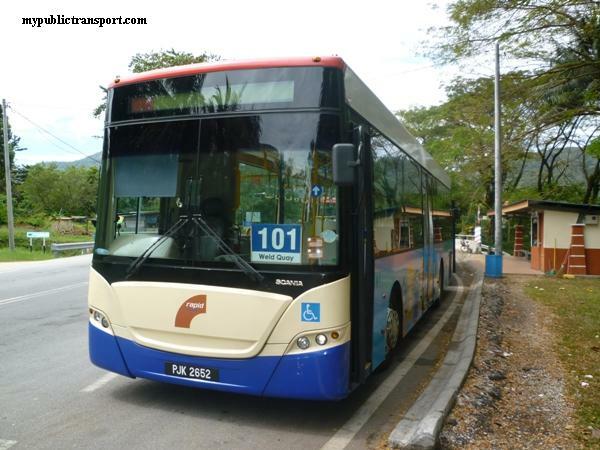 Hi, you can take KTM to Klang station, then take Cityliner 127 to taman kota sg rambai near Jenjarom. Hi, i want to go to Semenyih. I should take Rapid U415 from Kajang. 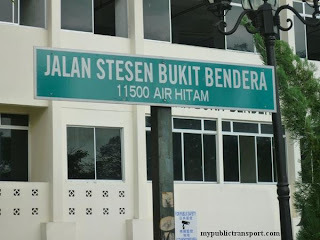 Where is the Rapid bus stesen in Kajang ? is it near Kajang KTM stesen? No, it is near to the Billion Supermarket. HI, you can take KLIA Transit to Tasik Selatan, then take RapidKL T405 to Cheras Business Centre. I need to go to PMP Entertainment's building at Jalan 1/119, Taman Bukit Hijau, Cheras. Can i know how to go there from pandan lndah Lrt? Hi, you can take LRT to Tasik Selatan (Transit at Chan Sow Lin), then take RapidkL T408 to UCSI and then walk to Jalan 1/119. Hello, may I know the routes from KTM Serdang to MIECC? 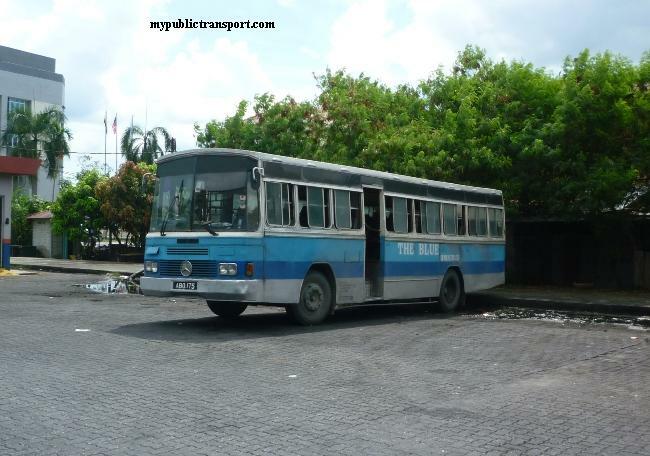 Is there any bus that goes directly to MIECC? Hi, you can take RapidKL U41 or U411. Stop at Mines and walk to MIECC. hi, may i know how to go to wisma dancom from lrt taman paramount? Hi, you can take RapidKL T627. ermm. mcm mana nak ulang alik dri taman melati ke sogo?? Hi, you can take RapidKL U5. hi, dari sri kembangan ke kg baru k.l mcm mane? Hi, you can take KTM from Serdang to KL Sentral, then take LRT to Kampung Baru. Hi what are the options from oug parklane to masjid jamek lrt? 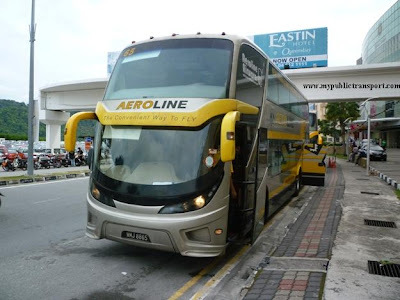 Hi, you can take any bus that heading towards KL. You can stop at Kota Raya and walk to Masjid Jamek LRT. Hi, dari klang nk ke bandar puteri puchong mcm mne? Hi, you can take Seranas 99, Causeway Link 58k or Cityliner 710 from Klang to Mid Valley, then take RapidkL U69 or Metrobus 20, 21 to Bandar Puteri Puchong. Hi how to go times square by using putra from setiawangsa. Hi, you can take LRT from Setiawangsa to Dang Wangi, then walk to Bukit Nanas Monorail station and take Monorail to Imbi. Time Square is connected to Imbi Monorail station. 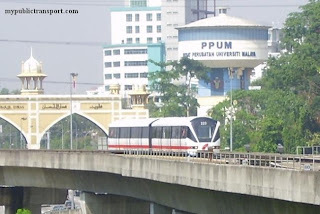 Hi, on your map it says that RapidKL bus U65 to Putra Heights stops at LRT station University. Is that ture? Because on the RapidKL webside the map shows something different. How often is U65 running? Thank you! Thanks for spotting the error. U65 will pass Universiti LRT station using the Federal Highway but they will not stop at LRT Universiti. It only comes every 30-40 minutes. i need to know from Bestari Jaya to KL SENTRAL. wat number bus shud i take? Hi, you can take Selangor Bus 147 to Kepong Central, then take KTM to KL Sentral. Hi, can you give me direction to cheras sentral shopping mall from pandan indah? Thanks! Hi, you can take LRT from Pandan Indah to Maluri, then take RapidKL u46, U49 or Metrobus/SJ Bus 62 to Cheras Sentral. hi, how i want to go to Green Packet network from Palm Spring @ Damansara? Hi, may i know how to go to menara haw par jalan sultan ismail from lrt pandan indah? Macam mana nak ke wisma rampai jalan sri rampai dari lrt hang tuah? Hi, you can take RapidKL U88 or Metrobus 99 to Asia Jaya LRT station, then take LRT to Taman Jaya. From Taman Jaya, take RapidKL T505 to Jalan Templer and walk to Green Packet. Hi, you can take LRT to Masjid Jamek, then take Kelana Jaya Line to Dang Wangi. From Dang Wangi you can walk to Menara Haw Par. Hi, you can take LRT from Hang Tuah to Masjid Jamek, then take Kelana Jaya Line to Sri Rampai, then take RapidKL U25 or T302 to Wisma Rampai. 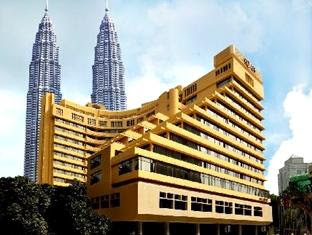 Hi, caninknow how to go to Pearl International Hotel from Bus Station Pudu? Hi, you can walk to Kota Raya or Pasar Seni and take RapidKL U60, U69, U70, U76, U504 or U68 or Metrobus 20,21, 58 to Pearl International Hotel. Hi, how to go to Bangi Sentral & Seksyen 7 , Shah Alam from KL Sentral ?? Hi, you can take RapidKL u80 from KL Sentral to Section 2 Bus Hub, then take RapidkL T604 to Section 7 Shah Alam. There is no bus to Bangi Sentral. Hi, you can take RapidKL U432 or Metrobus 8. There are few bus stops around that area, can you specific which part of Equine Park are you from? Hi, there is no need to go to Bukit Jalil but then if you're start from Bukit Jalil, then you need to take LRT to Masjid Jamek, then take Kelana Jaya line to KL Sentral. From KL Sentral, take RapidkL U60,U69 or U70 to IOI Mall, then take RapidkL T508 to Taman Wawasan Puchong. Hi, you can take RapidKL T416. You can stop after Serdang Baru Primary School. Hi, you can take LRT to Maluri station and then take RapidKL B114 to RHB Jalan Tun Razak. Hi, you can walk to Jalan Reko and take RapidKL U40 to Kajang Bus terminal, LHDN is located there. just want to confirm, U40 will pass through kajang ktm station? thanks. Hi, U40 does not pass the front entrance of the KTM station but you can cross over the bridge to Jalan Reko which is behind the station. Hi. How can i reach bangunan yayasan tun razak from lrt cempaka? Hi, KTM, LRT, etc mana yang paling dekat dgn GD Express petaling jaya? Hi, you can take KTM to Kampung Dato Harun and walk to GD Express petaling jaya. Hi, you need to take taxi because there is no bus to Section U1. Whats the new route for metrobus68? Hi, it is now 501. Hello, may i know how to go columbia asia puchong from kl sentral.whats the fatest way to get there. Tq admin. Hi...boleh sy twu mcm mane nk pergi ke paradigm mall dari kampung baru? Hi, you can take LRT from Kampung Baru to Kelana Jaya, then take RapidKL T781, T782 or Paradigm Mall shuttle to Paradigm Mall. Hi, you can just walk over. Macam mana ye cara nak ke gdex express kt pj..public transport yg mana dekat? Ktm or lrt? Last station plg dekat dgn gdex.. anyone can help me? Really appreciate it..
Hi, you can take RapidkL T640 from Taman jaya LRT station to Jalan Penchala and walk to Gdex. Hi, may I know which bas should I take from LRT kelana jaya to Malaysia Airlines Academy or you can suggest me the fastest ways to get there. Thank you admin. Hi, you can take RapidKL T782 from Kelana Jaya LRT Station. hi, is there any bus from nationwide office seksyen 15 to ioi mall puchong. Hi, you can take 752 from Persiaran Tengku Ampuan to KL Sentral, then take 600, 601, 602, 603 or 604 to IOI Mall. Salam. Hi. Saya nak tanya, macam mana caranya nak pergi ke Pulapol Ayer Hitam dari Kampung Baru, Kuala Lumpur ya? Hi, can I know the address of Pulapol Ayer Hitam? Okay, you can first take LRT from Kampung Baru to KL Sentral, then take KTM from KL Sentral to Seremban. Then you can walk to Terminal 1 and take Mybas T10 to Bahau. Then you can take Bahau Liner from Bahau to Pulapol Air Hitam. Kalau nak gi taman jaya dari bandar tun razak, macam mana?? Hi, you can take LRT from Bandar Tun Razak to Taman Jaya (transit at Masjid Jamek). So from Uitm Shah Alam to Sunway Pyramid, I need to take the bus with U91 code right? How long will it take to reach? Assuming the road is busy as usual. 30mins? Hi, there is no more U91 and even U91 exist it can't bring you to Sunway Pyramid. If you are from the UITM campus, you can take T750 to Section 2 Bus Hub, then take RapidKL 750 or 754 to PKNS Shah Alam bus terminal, then only take RapidKL 708 to Sunway Pyramid. It takes more than 1 hour, because 708 only comes every 30-45 minutes. 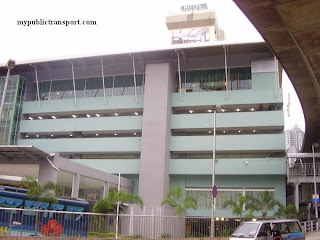 Hi, how to go to Bangi Sentral from Kajang bus station ?? Hi, you can take RapidkL 450 to Reko Sentral, then take RapidKL 551 to Bangi Sentral. hi, how to go to bangi sentral from kl sentral? Hi, you can take KTM to Serdang, then take RapidKL 551 to Bangi Sentral. how to go oug parklane from midvalley, and the other way round? I've checked but there is no station nearby enough, can the bus stop anywhere? Hi, you can take RapidKL 770 or 771 to PPUM Federal Highway, then walk to Jalan Gasing and take 781 to SMK Assunta. PPUM to jalan Gasing by walk?how far it is? It just need you to cross the Federal Highway. Hi, you can take KTM from Kg Dato Harun to KL Sentral, then take LRT to Setiawangsa. You can then walk from Setiawangsa LRT into Desa Setia Wira. Hi..how to go pulapol jln semarak from lrt titiwangsa? And how to get back to lrt titiwangsa from pulapol jln semarak? Thanks. Hi, you can take Monorail to Chow Kit, then take RapidkL 220 from Jalan Raja Muda Abdul Aziz to Pulapol Jalan Semarak. Hi, you need to take RapidKL T570 into UPM, but the bus only stop at Mardi, you need to walk like 2km to Maeps. You can choose to take Uber directly. Hi, how can i go to Centrepoint Bandar Utama? Hi, you can take 780, 800, or 801 to 1Utama, then only walk or take a cab to Centrepoint Bandar Utama. There is no bus service to Centrepoint. 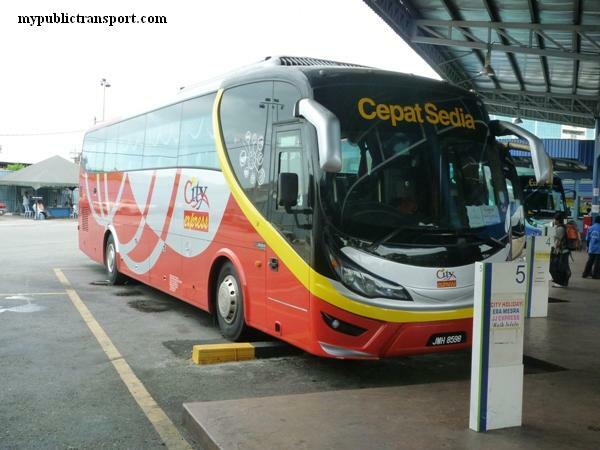 Is there any bus that i can take from ktm dato' keramat to desa setia wira? Hi, Dato Keramat is LRT station. You can take LRT to Setiawangsa Station and walk to Desa Setia Wira. Hi, you can take T790 from Universiti LRT or PJ01 PJ02 from Taman Jaya/Asia Jaya. Hi, how can i go to jalan kampung pandan from wangsamaju? By train and bus. Thank you. Hi, you can take LRT to Masjid Jamek, then take 421 from Maybank Tower to Kampung Pandan.